A new agreement announced by state lawmakers and Gov. Jerry Brown would raise the state’s minimum wage to $15 for most employees in 2022 and for all employees in 2023. The agreement was brokered with the Service Employees International Union, which has been seeking to raise the minimum wage to $15 per hour by 2021 through a ballot initiative in November. If passed by the state legislature and signed by Brown, the SEIU would likely withdraw the initiative. The state’s minimum wage hit $10 per hour on Jan. 1. Under the new plan, it would rise to $10.50 next year for businesses with 26 or more employees and continue rising gradually until reaching $15 per hour on Jan. 1, 2022. For small businesses with 25 employees or fewer, the minimum wage would rise more gradually but still hit $15 an hour on Jan. 1, 2023. After that the minimum wage would increase up to 3.5 percent annually based on the consumer price index. But the governor would have the power to pause an increase if the statewide job growth over the prior three to six months were negative and retail sales over the prior 12 months were negative, according to Brown’s office. The governor could also pause an increase if it would cause a forecasted state budget deficit, but can only use this power twice. State Sen. Mark Leno, D-San Francisco, said in a statement that he expects a bill on the proposal will be heard in the state legislature this week. Leno has been trying to raise the minimum wage beyond the current $10 per hour since 2014. If passed, the plan may have little effect on some Bay Area municipalities that are already on track for a $15 minimum wage sooner. San Francisco’s minimum wage will rise to $15 in 2018 under a ballot initiative passed in 2014. The minimum wage in Oakland and Emeryville is already over $12 and will be adjusted annually according to the consumer price index. Berkeley’s is slated to go to over $12 later this year and the City Council has been considering a plan that could make the city’s minimum wage $15 in 2020. “Many economists have also changed their views. Economics textbooks used to state that if you raise pay above the value it creates for employers, you reduce demand for labour. In other words, minimum wages cost jobs. does that mean that every other employer is going to give 5 dollar raises to their workers? Why should burger flippers make that much money? Giving this wage increase just solidifies to these workers that they don’t need to do anything to better their life and that the government will support their families. Don’t these people realize that working at mcdonalds isn’t supposed to be a life time job. It is a stepping stone for kids as a first job. You are not supposed to be trying to raise a family on it. Maybe pay attention in school and make better life choices and you wouldn’t need minimum wage to support you along with your food stamps and section 8 housing. Get ready for the price of everything to skyrocket. If you are retired, who will increase your income to cover price increases? #5 — You went to grad school so you could make a “living wage”, i.e., many times the minimum wage, even after factoring in taxes and student loans. I’ll bet with the wage you’ll get, you’ll be able to afford rent (maybe even a mortgage! ), while those making minimum wage will still be sharing an apartment because minimum wage won’t be enough to pay rent, even in Concord. I used to be against the $15 minimum wage but I have changed my opinion. Lately, I have noticed more older people working at Starbucks and fast food. As a senior myself, I wonder if these people are retired and just can’t make ends meet so they have to take these part time jobs. Also – my son pointed this out to me – unless these workers already have a place to live in SF or San Jose or whatever part of the Bay Area, they will have to commute. Who can afford to commute to work for 20 hours a week at $8.00/hour? I’m no liberal or Bernie supporter – I’ve worked all my life and always paid my own way. But, give these people some credit: at least they’re working and trying to make their way. They’re not standing on street corners looking for hand-outs for doing nothing. The fact is that there are some jobs that aren’t worth $15 an hour. Eliminate the minimum wage and let the free market decide. If the job is worth $5/hour, that’s what you pay. If it’s worth $100/hour, that’s what you pay. And here’s a Forbes article stating that raising the minimum wage DOES kill jobs. Goodbye to all the mom and pop business and entry level jobs… Hello to automation! The folks that make a machine to flip burgers are going to make a fortune! If you’re retired you’re screwed…. In six years. Thats six years. $15.00 X 40 X 52 = $31,200.00 a year. $10.00 X 40 X 52 = $20,800.00 a year. If rent is $866.66 per month. That means rent is almost FREE in California. Going to be a lot of people moving here. Rent/food/transportation is going to go up. Do to supply and demand. Raise the minimum wage. Employees that earn too little to live on qualify for government side such as food stamps. That means taxpayers such as you and I are effectively subsidizing the cost of the employee. Why should we do that? It’s just a handout to business. Let the business pick up the full cost of the employee instead of foisting off part of it onto us taxpayers. If employees aren’t worth their full cost, then don’t hire them. Let the business make the cost benefit/decision instead of having the government throw the equation off balance by subsidizing the cost of the employee. @bite me – Where do you find a place to rent for $866 a month? Also, minimum wage workers usually do not work a full-time 40 hour week. A full-time employee usually works 2088 hours a year, so a part time employee would work (ballpark) 1044 hours per year: 1044 X $15 = $ 15,660. Yes, I agree about welfare subsidies, etc. But, I still say, I give them credit for going out and working in fast-food or whatever. It’s better than these lazy guys standing on street corners holding a sign for handouts. Where in Claycord is rent $866 a month? I can end the debate right now. $15 minimum wage hurts businesses and ultimately it hurts the entry level wage earner. True free market economies are the most successful and the further we wander away from that, the worse off we are. Why not make the minimum wage $150 an hour? Would no one then be poor ? It’s very simple. You raise my cost and I raise the price. The poorer you are, the more it hurts. Ever heard of having room mates or sharing the rent ? Can you also find right leaning media also supporting that position? It’s really nice that our politicians now openly acknowledge cutting deals with the SEIU rather than actually representing or listening to the people they are sworn to serve. Increasing the minimum wage only causes artificial inflation that harms all citizens. If raising the minimum wage to $15 were an effective way to address poverty, it should be even more beneficial to raise the minimum wage to $50 or $100 per hour. This is the similar to the government printing scads of new money to pay off old debt. It simply doesn’t work, and causes more problems than it is meant to solve. The way to lift people out of poverty is to stimulate the economy so there are more jobs and a market driven demand that ups wages as the demand for labor outpaces the supply. This helps everybody except the Dems running California government as it doesn’t fit their divisive Us vs.Them narrative. The economy is really a mess isn’t it? Don’t believe the propaganda that everything is peachy keen. It’s out of whack and lopsided. Yes, people need a living wage but this may just be a mono-dimensional solution. It doesn’t address the problem created by raising prices to cover the increased wages. So round and round we go and where we stop nobody knows. Wage and price control? Well that was tried by the Nixon administration. Maybe the real solution is such a total economic collapse that it wipes out everybody including the rich. Then start over with a clean slate. Everything goes up – it’s called inflation. The status quo will remain the same. Poor people poor, rich rich. When the wage goes up, so do the costs of products. So, this cost will be distributed evenly for everyone. Your oil change will cost more, your caspers dog, your big mac, your coke from 7-11. So, in reality, the only people this hurts are the people that are on fixed incomes. Everyone else will see no difference in quality of living. Who called McDonalds workers “lazy idiots”? I looked through all the comments and didn’t see that anywhere. @ bite me. Tell me where you can rent somewhere for $866 a month? Apartment owners will win here, period. Employers will pay more, consumers will pay more, earners will be paying higher rents. That 1000 a month studio will go to 1200 then 1400. As cost of labor increases and cost of automation comes down each year workers will be replaced my machines. Most crops today are harvested by machines ad many were invented here in CA. The legislation will speed up the use of robotics in our daily lives. Within 20 years, trucks will be self-driving; within 10 years, restaurants will have no bus boys, no waiters, no cooks: robotics will take over. There will be a massive increase in unemployment with only the Government growing and wasting tax dollars. This is a bad deal for all of us in the long run. Irrespective of anyone’s opinion on minimum wage, unions and elected officials cutting deals like this, without public discourse, comment and participation, is outrageous. That they have the gall to admit and announce it publicly is such an in-your-face FU to the voters who elected them, it makes me ill.
Not that most folks needed proof that politicians aren’t working for “us” at all. democrat politicians and unions are worried about THEIR Selfish short term goals not long term effects of their actions. Simple proof is great reduction in number of farm workers in CA. Ever notice “minimum wage” is only of interest to democrats right before an election ??? This is just a stepping stone to Basic Income. Imagine if you’re getting enough to meet your needs, would you still choose to work as a burger flipper? A basic income would eliminate all those minimum wage jobs and people will finally be better able to seek employment that they would enjoy; they would work “live to work” instead of “work to live”. Or become couch potato pot heads and not contribute to society. We’ll see in a few years how that basic income experiment works out in places like Sweden. Germany and other European nations with minimum wage laws also have a separate and significantly lower wage for young people and students. This incompetent democrat legislature just shut the door on entry level jobs for our kids and grandkids. Minimum wage jobs will be taken over by adults with flexible schedules. Kids going to school who have to ask employers for specific hours are the big losers on this deal. Second on the loser category are retirees too old to work. 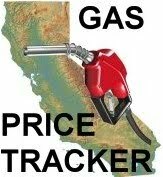 Prices for just about everything in California will accelerate faster than the rest of the country. Go back to school. Your comment is unintelligible : “Ever heard of having room mates or sharing the rent ? I haven’t lived with my parents since I turned 18. That was 22 years ago. I haven’t had a roommate since 2003. I’m a homeowner with a job. Renting a room or having roommates is not what most adults strive for. It’s usually a last resort. Most people eventually want a place of their own or to share a place with a significant other. There aren’t a lot of studios in the area. I think the studios are already at $1200-$1400. @37 and you should be able to provide yourself that luxury by working part time/full time. Part time should be enough to get by, pay the rent, food, etc. If you strive for more and want that mercedes, bmw or a bigger house then you can work full time for the extra reward. As it is now you can work full time and still not be able to afford any of those things which is not right at all. No fulltime job should not be able to provide these things that is unacceptable. KJ – Thank you for explaining this to everyone. I am retired and prices are going up on everything, pg&e, food. It gets harder all the time for retirees to stay within their budget. I saved my money by not buying lattes, rarely ate lunch or dinner outside the home, etc. so I thought about needing money during retirement. We need COLA increase which we did not get this year. I agree with you. I think we should raise the minimum wage so people can afford to rent an apartment, not just a room. There are actually community members who are happy to work, need to work in order to be able to live more independently, and may be incapable of higher education and aspirations. I’m pretty sure many of you would want to pay less for their maintenance costs, also. Throughout history, every government that over-regulates its economy fails. Or, just look at Greece. Forcing the market to pay a minimum wage for menial tasks sets a dangerous precedent. I am a free marketer, but if the government would decree a guaranteed annual income whether I work or not, I’ll not work. Then I can watch the economy crumble in comfort. Wage increases are a sham. A large portion of the wage increase will be eaten up by taxes and another large portion would be eaten up in the form of price increases. Ultimately, the worker only gets a small “raise” with a small improvement in their buying power. The real winner would be the government, which can now waste even more of our tax dollars. If the government really wants to help the working poor, why not reduce their tax rate which would put the full savings directly into their pockets. Don’t claim to be helping someone by giving them a dollar and then taking back a large portion of it.